Last month during our vacation to Walt Disney World, I stumbled upon this crazy awesome Toy Story Mr. 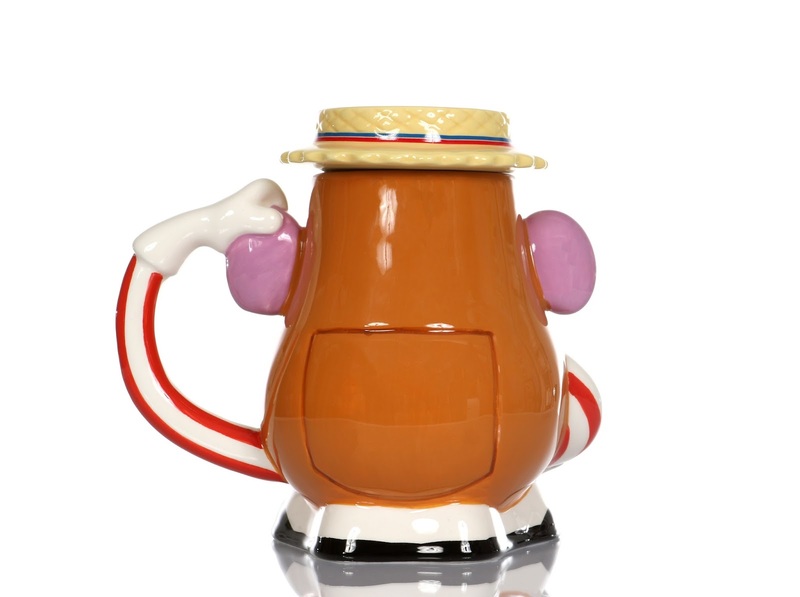 Potato Head mug featuring his "boardwalk barker" look from the Toy Story Mania attraction! Given that Midway Mania is one of my all time favorite Disney rides and that Potato Head is one of my favorite Pixar characters, there was no question regarding if I was going to get this or not. The question was just when I would get it. There is a short story regarding this...so here we go. The first night we got to Orlando, we hit up Disney Springs before anything else. 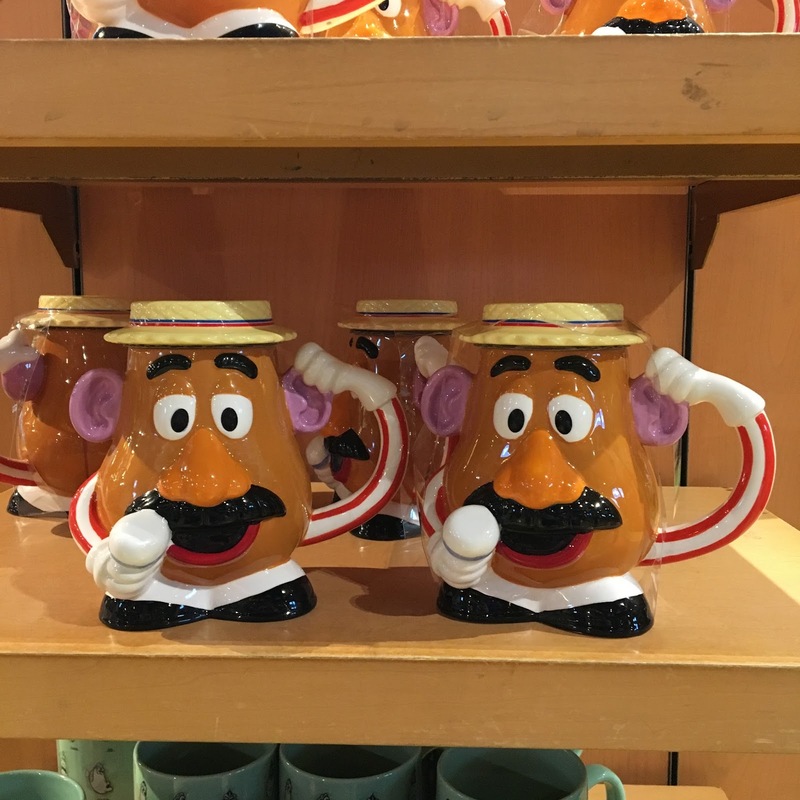 I popped into one of my favorite stores, The World of Disney, and found a bunch of these mugs there on a shelf (as seen in my pic below). I had seen this mug design online prior, but had totally forgotten about it going in (so it was a very pleasant surprise). I added it to my list of "wants" and continued on. However, when I went to pick this up just three days later (the very last night of our trip), it was completely sold out. I even ran, quite literally, over to the Hollywood Studios Pixar Place gift shop at the last minute before closing (I had seen a bunch there earlier), and it was gone there as well. Eventually I was able to get assisted by a helpful cast member who informed me that, according to the system he was checking on, this mug had sold out everywhere. Nooooooooo...how did that even happen? Moral of the story: when you see something you want, just get it—especially at Disney World. I left empty handed that night, but thanks to my mom (who heard this story and then totally surprised me with it on my birthday; I believe she resorted to eBay), this great mug is now a part of my collection. The mug is made of a ceramic material, stands about 6" tall and holds 18 oz. It is not dishwasher or microwave safe. His hat, of course, is removable. I can't remember the original retail price, but I wanna say it was around $14.95. 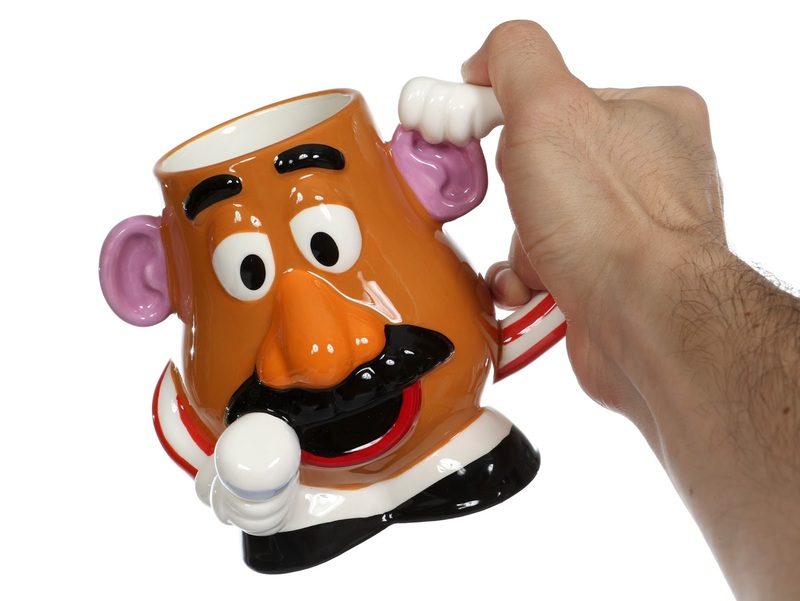 One detail I especially love here is how the handle is Potato Head's harm grabbing his ear. This is a direct reference to the huge Mr. 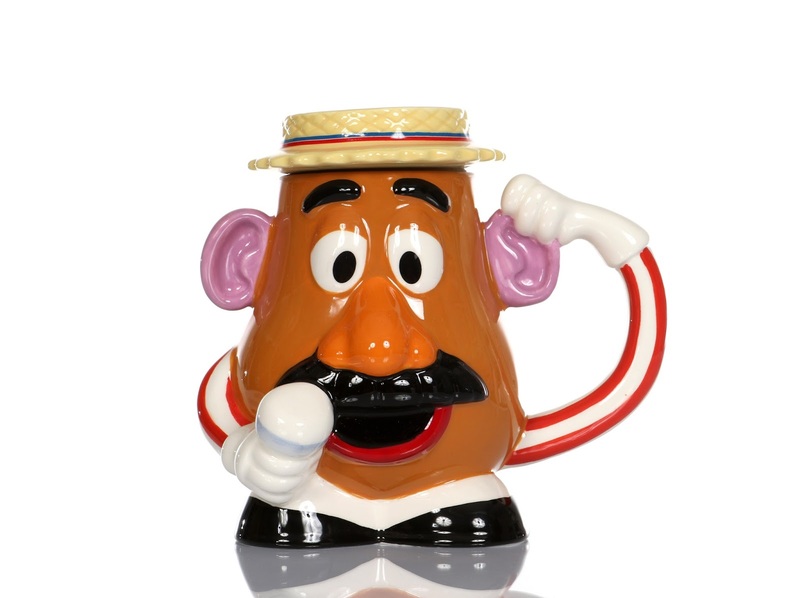 Potato Head animatronic seen in the Toy Story Mania ride line/queue (on which this mug is based on), who sometimes reaches for his ear, takes it out, holds it and then puts it back in. It's one of the most impressive and most sophisticated moves I've ever seen an animatronic do (see what I'm talking about in this video HERE). I'm not sure if the mug ever came back in stock after I left, but it's very possible. I believe this is also available in Disneyland/California Adventure as well, so that's another option. If you can't make it to either, you can try calling the Disney Parks merchandise hotline to see if they can ship it to you (877-560-6477) or just visit good 'ol eBay using this direct link to current listings. It's also in stock over at the "Your WDW Store" site HERE (almost double the price, but it's there nonetheless). Will you be picking this mug up? What are your thoughts? Shout it out in the comments below!